Dr. David Agus graduated from the Perelman at the University of Pennsylvania and completed his residency program at the John's Hopkins University. 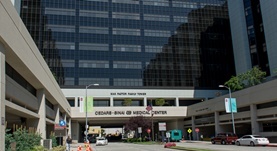 Then, he did a fellowship at the Memorial Sloan-Kettering Cancer Center. He is specialized in Medical Oncology and board certified in Oncology. 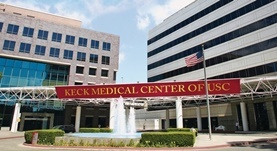 Dr. Agus has been in practice for more than 20 years and is affiliated with the Keck Medical Center of USC. During his career, he has also contributed to several research publications. Dr. David Agus has contributed to 3 publications. Patsch K, Chiu C, Engeln M, Agus DB, Mallick P, Mumenthaler SM, Ruderman D; Sci Rep. 2016-10-06. Juarez EF, Lau R, Friedman SH, Ghaffarizadeh A, Jonckheere E, Agus DB, Mumenthaler SM, Macklin P; BMC Syst Biol. 2016-09-21. A high-content image-based method for quantitatively studying context-dependent cell population dynamics. Garvey CM, Spiller E, Lindsay D, Chiang C, Choi NC, Agus DB, Mallick P, Foo J, Mumenthaler SM; Sci Rep. 2016-07-25.